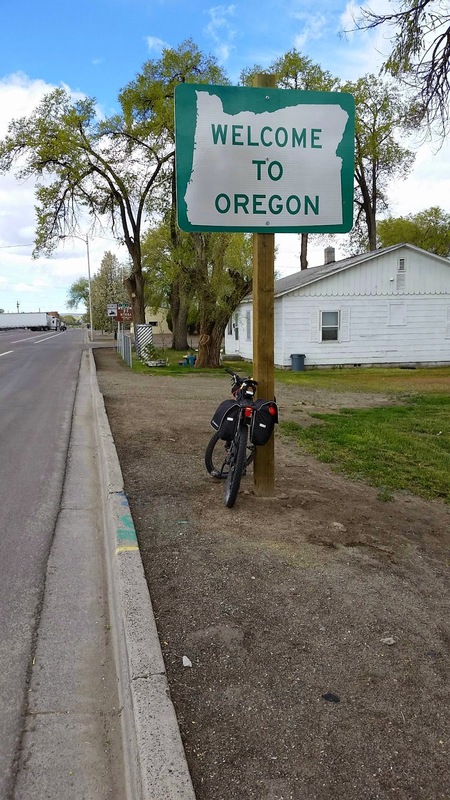 I finally made it to Oregon. I got 114 miles today which is the most in one day so far unless you count the train ride to Ogden. The weather today was good and it seemed most of the day was downhill. Even going up this little river canyon felt like it was downhill. Looking at the GPS it says I climbed just a little more than I descended. I guess it is because I am going slightly south which means a bit of a tailwind. Anyway I am feeling good and happy. My Achilles tendon is being very painful but other than that I am doing well. GPS say 308 miles to go but based on what I remember from the Google maps I think I actually have about 370 miles when you count all the twists and turns.